Living with Bariatric Surgery: Managing Your Mind and Your Weight aims to help those who are considering bariatric surgery develop a psychological understanding of their eating behaviour and the changes needed in order to make surgery successful. It is also a resource for those who have undergone surgery to help them adapt to the physical, psychological and relationship adjustments that occur. Whilst the benefits of bariatric surgery are significant, the psychological challenges it presents for patients have been overlooked. This book will help patients develop a realistic view of bariatric surgery and the changes required. It incorporates the real-life experiences of people who have had bariatric surgery, showing how they have responded to the psychological and behavioural changes after surgery, and also features helpful psychoeducation, exercises and strategies to facilitate reflection and learning. 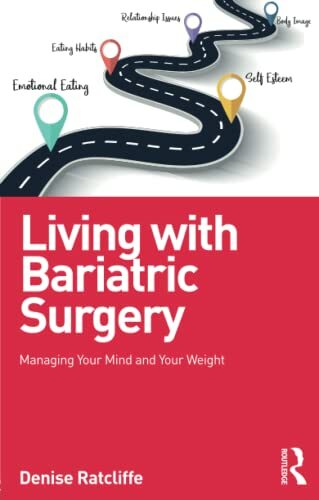 Living with Bariatric Surgery will be an essential guide for anyone considering, preparing for or recovering from bariatric surgery, as well as health professionals working with these clients.